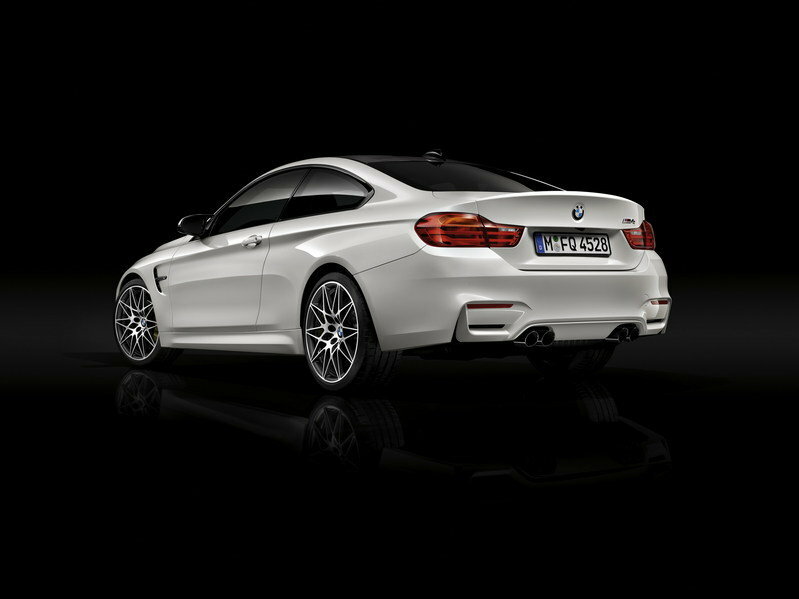 BMW isn’t the everyday aftermarket tuning firm, so if you were expecting to see dramatic changes in the M3 or M4 with this package, then you’re out of luck. What you do get however is some carefully executed, but subtle changes that make the exterior that much better to look at. You can’t really complain about just having small exterior changes, though. The M3 and M4 already had a sporty design that I, for one, really like. The styling isn’t overly aggressive, but the car has enough of a snarl to let you know it means business – kind of like your neighbor’s dog. It lets you look into its yard, but you still know not to approach too close unless you’re welcome in that territory. You’ll find that the exhaust outlets have also been painted in a high-gloss black – just enough to offset the look of the rear end. With the new Competition Package, you’ll notice that BMW has added some high-gloss Shadow Line trim accents. High-gloss Black has been applied to the signature kidney grille, side view mirror frames and bases, side gills, side-window trim, and the M-badge on the rear deck lid. Additionally, you’ll find that the exhaust outlets have also been painted in a high-gloss black – just enough to offset the look of the rear end. The only other addition to the exterior is that set of beautiful, 20-inch, exclusive 666 M-styled wheels. Those wheels, by the way, are nine-inches wide in the front and 10-inches wide in the rear. Up front, the wheels are wrapped in 265/30-series tires. To the back, those wider wheels are wrapped in 285/30-series tires to accommodate for the larger wider wheels. 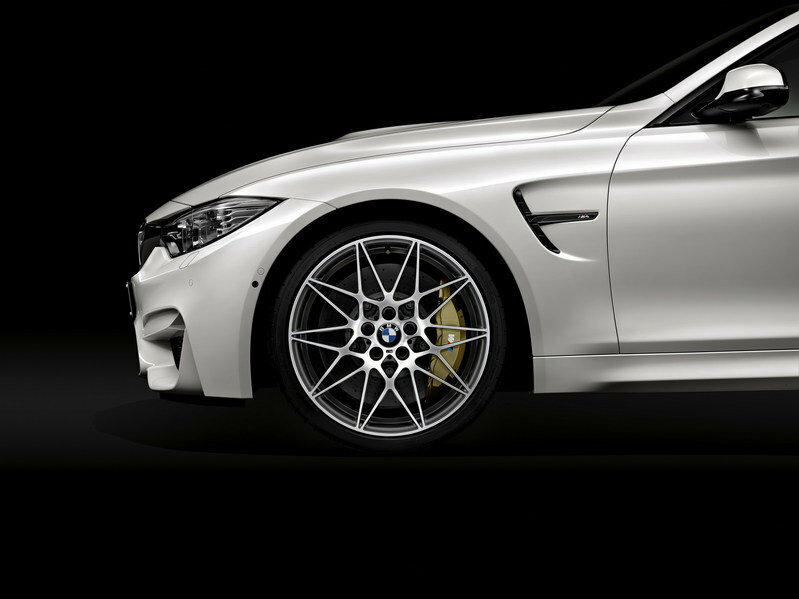 Altogether, these really are just subtle changes, but as shown in Alpine White finish, those high-gloss Black accents and those wheels do give the M4 a beautiful and unique look. It just goes to show that you can upgrade a car’s looks without going overboard, and still achieve a highly desirable result. Inside, you’ll find that BMW is keeping the changes to a minimum on the M3 sedan and M4 Coupe. When it comes to the M4 convertible, there are no changes to the interior to speak of at all – it will remain exactly the same. In all honesty, though, who really cares? The interior was already visually pleasing to look at with smooth interior lines, and if you’ve ever sat in one, you can’t deny that the cabin is rather comfortable to sit in. The good news is that even in coupe and sedan form, the cabin stays that way with the Competition Package, but there are two changes that will make all the difference and is sure to remind you that you opted for this new and special package. The biggest change inside comes in the form of special, lightweight M sports seats. The other change comes in the form of a new seatbelt design. It’s nothing too extreme to talk about, but the seatbelt does have the BMW stripes woven into one edge, adding a little more pizzazz to the interior. Like I said, it isn’t too extreme, and the convertible was left out, but the new seats and seatbelts are a welcome addition to the M3 sedan and M4 coupe. The drivetrain is where the Competition Package really comes into play, bringing with it a 19-horsepower improvement, raising total output to 450 horsepower. BMW didn’t divulge whether there were any engine upgrades contributing to the additional horsepower; it’s safe to say a majority of that probably comes from the M sports exhaust system that is included with the Competition Package. Let’s not beat around the bush about that exhaust system – if you’ve ever heard it in action, you know that rumble and tuned sound is very emotional even from a turbocharged engine. The Adaptive M suspension has been tuned for performance and handling with new dampers, larger sway bars to link the left and ride suspension together, and new coil springs. Naturally, an increase of power means other changes to the chassis necessary as well. The biggest change is probably the Adaptive M suspension. It has been tuned for performance and handling with new dampers, larger sway bars to link the left and ride suspension together, and new coil springs. With this new equipment, the car should be able to handle much better during extreme maneuvers. In addition to the new suspension, the Comfort, Sport, and Sport+ driving modes have all been reconfigured to provide improved driving performance. To make way for the upgraded driving dynamics, BMW has all reconfigured the rear differential and dynamic stability control to help keep everything smooth as you take advantage of that extra horsepower and improved cornering ability. All told, the M4 coupe and M3 sedan can hit the 62 mph sprint in 4.0 seconds when equipped with the seven-speed M Double Clutch transmission. The convertible hits the same benchmark in 4.3 seconds, meaning all models have an improvement of 0.1 seconds over models not equipped with the Competition Package. It should also be noted that the same 0.1-second improvement carries over to models equipped with the six-speed manual transmission. It looks like top speed will be unaffected on all models equipped with the Competition Package. BMW has yet to release details on the pricing of the Competition Package, but we do know that it will become available in spring of 2016. As we get closer to the warmer weather, and BMW releases pricing information, we will be sure to update you on the pricing of this awesome package. 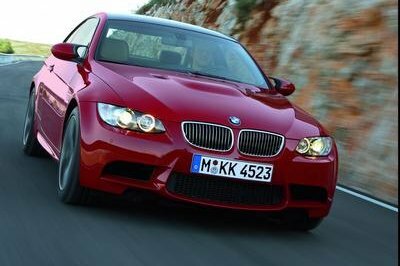 Just for the record, the M3 sedan starts out at $63,500 here in the U.S., while the M4 coupe comes in at $65,700. Moving over to the M4 convertible will set you back at least $74,200. If I had to guess, I would say the Competition Package will probably come at a pretty high premium, maybe upward of $7,000 or so, given the number of upgrades and improvements. Naturally, one of the M3 sedan’s biggest competitors in the Mercedes-AMG C63 Sedan. The C63 was redesigned for the 2015 model year, which actually made it a bit wider and longer than the previous design. Even with the increase in size, the C63 and M3 still compete in the same segment. The C63 comes with a 4.0-liter, twin-turbo V-8 under the hood that pumps out a substantial 469 horsepower and 479 pound-feet of torque. That power pushes the C63 to 60 mph in 4.0-seconds with the speedo electronically limited to 155 mph. 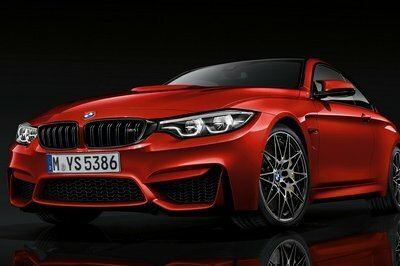 For the record, that is just a shade quicker than the M3 and M4 coupe’s sprint to 62 mph. The C63 starts out at $63,900 which is $500 more than the starting price of the M3 and $1,800 less than the M4 coupe. Moving up to the C63 S model sets you back $71,900, which is probably about where the M3 sedan and M4 coupe will sit when equipped with the Competition Package. 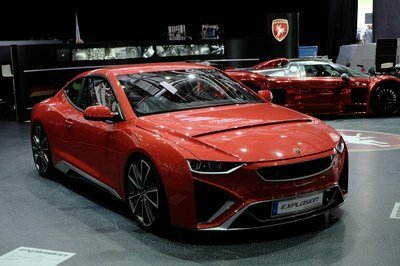 The big difference here, however, is that S model comes with 503 horsepower and 516 pound-feet of torque, leading to a 60 mph sprint in just 3.9 seconds. 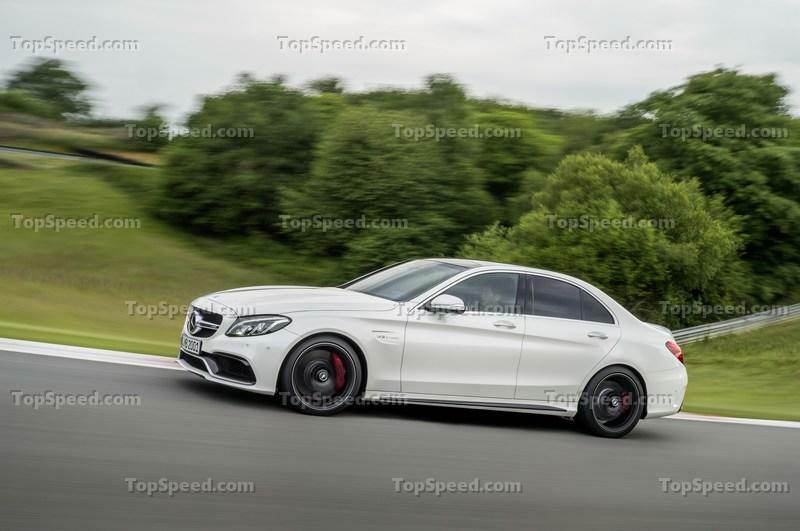 Read our full review on the Mercedes-AMG C63 Sedan here. The Jaguar F-type first launched back in 2013 as a successor to the E-Type. It is offered in coupe and convertible form, and is a good competitor for the M4 coupe and Convertible with the Competition Package. In entry-level form, the F-type comes in with 340 horsepower and 332 pound-feet of torque from a supercharged, 3.0-liter V-6. That really just isn’t enough to take on the M4, though. 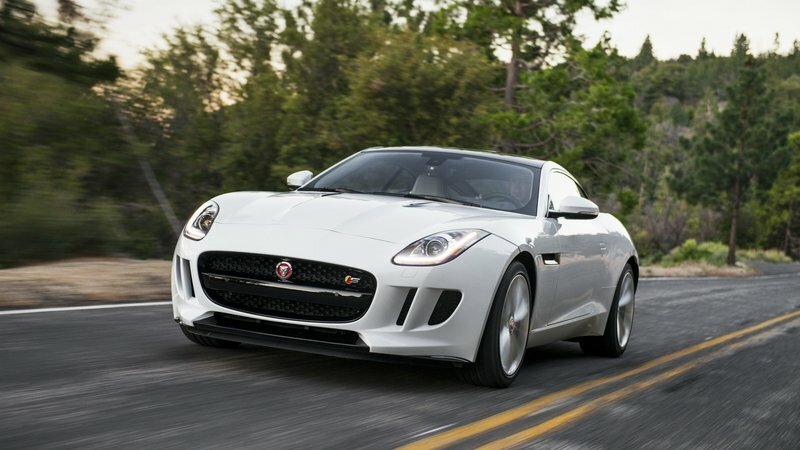 You could move up to the F-type S, which uses the same, supercharged 3.0-liter V-6. 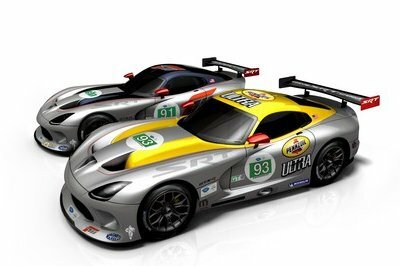 In S form, however, the car puts out 380 horsepower and 339 pound-feet of torque. Yeah, I know what you’re thinking – still not enough to take on the M4 right? Well, that’s as good as it gets without jumping up to the F-Type R, which will beat the M4 in either form hands down. That range-topping trim has a supercharged V-8 in place of the V-6. 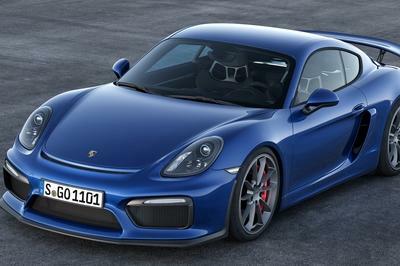 It delivers a pleasurable 550 horsepower and 502 pound-feet of torque. The F-type does come at a steep price. The base-level trim starts out at $61,400 for the coupe and $65,400 for the convertible. This pricing is based on the 2017 models, and sadly, Jaguar has yet to release pricing details for the S and R trims. In the current model year, however, the S trim comes in at $77,300 for the coupe and $80,400 for the convertible. Jumping up to the range-topping R trim will set you back a wild $103,600 for the coupe or $106,450 for the convertible. The S-trim does fall right in the area I suspect we’ll the M4 go for with the competition package, but if you’re going to beat out the M4, in either form with the F-type, you’re going to pay a hefty premium to the tune of more than $30,000. 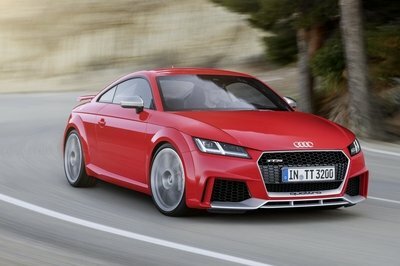 Then again, there’s a huge horsepower advantage with the R trim, so maybe it’s worth it to you. Read our full review on the Jaguar F-Type here. I’m already a big fan of German engineering – well at least until I have to do suspension work on one of these BMWs, but we’ll leave that conversation for another day. I’ll just say that on some models, it isn’t exactly a job you look forward too. Outside of that, the M3 and M4 are a couple of my favorite cars from BMW and, if I was looking to our German friends for a new car, I sure would be hitting up the Bimmer dealership. I’m hardwired to be a performance freak, so naturally the Competition Package would be the first option box I would be marking. One just can’t argue with performance tuned suspension, exhaust and driving modes. Plus, I’ve always been one to customize and accent my vehicles to set them apart, but BMW seems to have the same taste as me – I like my accenting subtle but noticeable, and that is exactly what this new package does with the exterior and interior. Good work BMW, I love what you’re offering with the new package.